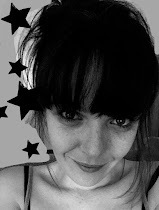 Katy Clouds: How Do I Get Instagram Insights & How Do I Work Out My Engagement Rate? How Do I Get Instagram Insights & How Do I Work Out My Engagement Rate? Recently Instagram made it possible to access, for free, the kind of information about your following and engagement that had previously only been available by paying a third-party application. 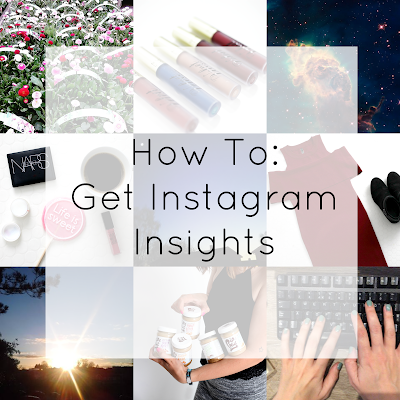 Do you have access to Instagram Insights? This guide will tell you how to get it and I'll also be publishing a guide to exactly how you can use the information that it provides to grow your Instagram following. I hope you find it helpful, if so, please do leave a comment. I'll answer any questions in the comments too, don't be shy! 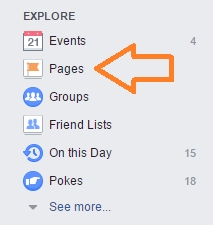 To access the special icon that takes you to your Insights, you need to have set up a Facebook Page. I don't mean, you need to have an account, you actually have to be the administrator of a Facebook Page. Go here for a description of the difference between a Page and a Group. You can click the menu option along the navigation bar on Facebook to find out what pages you have created and are an admin of. If you haven't created a Page yet, you'll need to. You can set up a Page about anything, but if you are serious about promoting yourself as a blogger or Influencer, it won't hurt to have one dedicated to you. You can invite your real life friends to like the Page and drive more traffic to where you want it, Instagram or your blog or wherever. Facebook Pages can be a little slow to grow - but you don't need to have any followers to access Instagram Insights. Once you've got the Page set up, head back over to Instagram and connect your Facebook and Instagram accounts. Click the three little dots on the top right of your profile page and scroll down to Account - the option to hook up Facebook to Instagram, turn your account into a 'Business' account and access Insights should be there. I have no idea why I am a 'Government Official', that clearly needs to change! The other thing that you'll notice is you will now have a little 'Contact' button under your public stats, this is connected to your email and allows brands and fans to get in touch with you on the email you signed up to Instagram with. It's worth making sure it's your current address. Each section has more information, swipe right to view more on each stat. Insights are also available for individual posts and you'll see a little 'Insights' link under your newly posted photos. What is the difference between Reach and Impressions? It's pretty simple - Reach is how many individuals your image has been seen by, impressions is how many times the image has been seen. I'll leave you with a little formula you can use to work out your engagement rate. You can use this to work out whether you engagement is going up or down, whether you get more engagement on certain types of posts and you can also use it to pitch yourself to brands, who will be looking for the highest percentage possible! This shows that 19.2% of the people that saw my post chose to interact with it. These are really valuable statistics when it comes to brand endorsements. Brands will be looking for you to have an engagement rate of at least 20% to consider you for paid collaborations. Test the water by posting a few images tagging some of your favourite brands and seeing what your engagement rate is like. You'll need to leave the post up a day or so to get a balanced picture.